Come further up and further in to the world of Narnia as we traverse the 7 books of the Chronicles of Narnia in this 80 minute concept album. 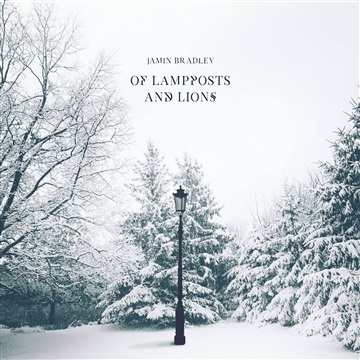 Like most concept albums, Of Lampposts and Lions, is best listened to straight through from beginning to end as that is how the music has been constructed to be heard. May it lead you deeper into the stories of Narnia and straight to the heart of Aslan. Thanks to God for pushing me to write music again. Special thanks to my sister-in-law, Alyssa Bradley of Whimsy Design and Illustration for creating the perfect album art. Thanks to C.S. Lewis for crafting the wonderful world of Narnia and giving us Aslan.